Products are getting smarter and more connected. Smart innovations are emerging in every industry. 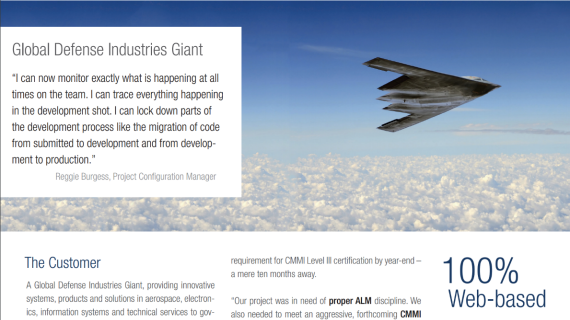 Software for applications and embedded systems play a key role. Speed in creating and delivering these innovations is now essential to long-term business success. To compete at this accelerated pace, you need to innovate fast and adapt to changes without sacrificing product quality. Successful in its day, DOORS is now antiquated, lacking the agility to keep pace with modern development. You simply cannot expect it to meet today’s high demand when it was designed before the browser was invented, before the Internet was widely available, and before smart connected devices were envisioned. Instead, IBM is proposing migration to DOORS NG, which is based on a completely different technology, and still is not sufficiently capable to handle today’s complex projects involving electrical, mechanical, and software engineering. 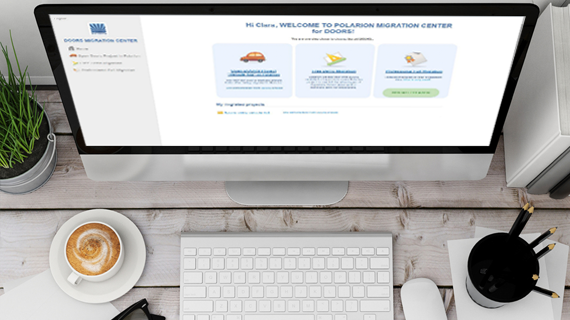 Easily import Microsoft® Word and Excel® to Polarion’s exclusive LiveDoc™ web documents, and collaborate online, or offline via the unique Polarion Round-trip™. Built-in ReqIF enables lossless requirements exchange with customers and suppliers. 100% browser-based platform ensures 24/7 project access for distributed teams anywhere. Live dashboards, reports, and activity streams deliver key information and metrics in real time. Understand the “Who, What, When and Why” of all changes. 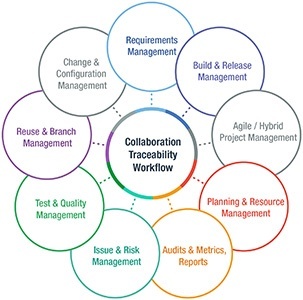 Cross-project semantic linking and workflow controls ensure wide and deep traceability. Visually compare older document versions with newer. Browse, search and report any historical state of your project. LiveBranch™ and Document reuse provide easy-yet-robust ways to manage commonalities in product variants without copy/paste. Workflow-driven change management for all Work Items in the application development process. Supports Agile/Lean, Traditional, Hybrid, or custom environment: FDD, XP, Scrum, RUP, Kanban, etc. Project and iteration schedules automatically update as projects progress. Delays and workloads are shown in real time. Easily create test cases and map them back to requirements, plan both manual and automated test runs (including via 3rd-party test automation tools), and report the results to all stakeholders. Easily manage & prove compliance with a wide spectrum of industry standards: FDA, FAA, CMMI, ISO, IEC, CPI, SPICE, and many more. Take advantage of the certified project template for ISO 26262. Integrate out-of-the-box with popular tools and leverage open APIs for custom extensions. Reduce Time to Value, and cut TCO associated with System Administration, Implementation, Training, Integrations, Annual Maintenance, as well as Hardware and Infrastructure management. You simply cannot expect your system engineering teams to meet today’s high demands using a point solution like DOORS, designed before the Web browser and smart devices were invented. 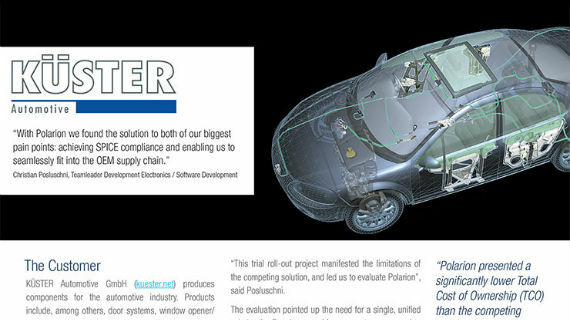 This white paper introduces you to Polarion Software and discusses why it is a proven alternative that will make you more agile. What better time to move up to cutting-edge technology that can make your team more efficient AND cut costs? Polarion has proven to be a viable, affordable, and low-risk solution for organizations searching to increase agility, innovation, collaboration, efficiencies, and competitiveness – especially in regulated industries, where electronic signatures, baseline comparisons, traceability, or data migration/linking are critical. Get a one-on-one guided tour of the requirements solution that helps more than 10,000 firms developing complex systems to eliminate versioning issues, collaborate, track requirements and reduce costs. DOORS Migration Fact Sheet Lock those Old DOORS and Unlock Agility with Polarion!